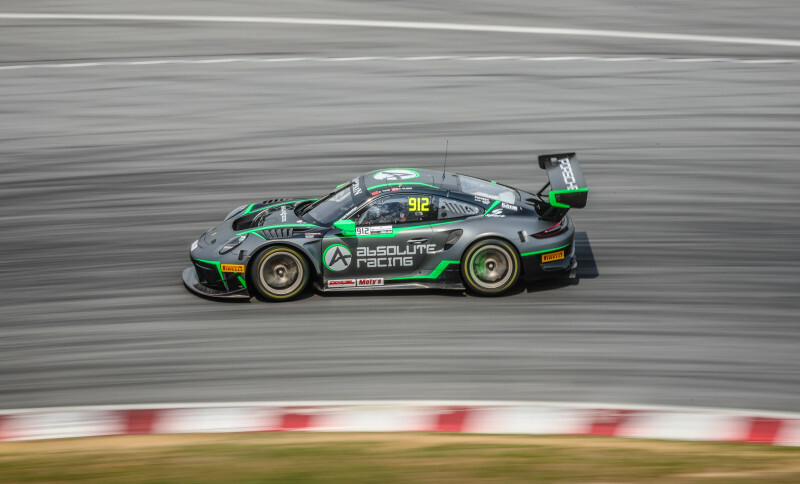 Absolute Racing will start 1 -2 for Round One of the 2019 Blancpain GT World Challenge at Sepang International Circuit after Yuan Bo topped the time-sheets with a 2:94.883 in the team’s #912 Porsche 911 GT3 R. The Chinese driver was .166 seconds quicker than the sister #911 in which Tanart Sathlenthirakul put in a 2:05.049. Porsche took the top three positions on the grid for Race One after the #918 Panther/AAS Motorsport 911 GT3 R driven by Vatthikorn Inthraphuvasak put in a 2:05.210. Qualifying for Race two was interrupted by a red flag with just over eight minutes remaining after Michael Soeryadjaya went off into the gravel. 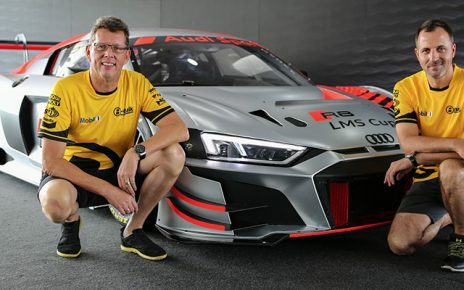 The #12 Audi Sport Asia Team Absolute Audi R8 LMS GT3 Evo was topping the time-sheets as the session went green with Martin Rump having lapped in 2:04.250. 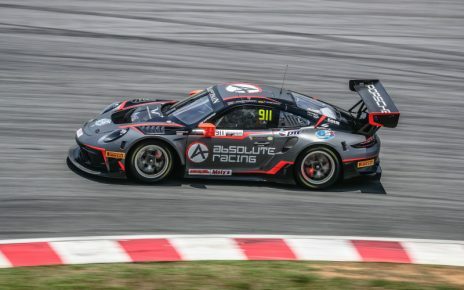 Times fell rapidly with less than five minutes remaining and as the chequered flag came out, it was Dennis Olsen who was on pole after having lapped the #912 Absolute Racing Porsche 911 GT3 R in 2:03.934 on his fifth lap. Alexandre Imperatori will start alongside the #912 after the Panther/AAS Motorsport driver put in a 2:04.114 on his sixth lap in the #918 entry. The top three grid positions for Race two were completed by Mathias Beche in the #16 Modena Motorsports Porsche. BMW team Studie will start from pole in the GT4 class for both 60-minutes races this weekend. Sunako Jukuchou, at the wheel of the #81 BMW Team Studie BMW M4 GT4 laid down the quickest lap in Q1 with a 2:17.309 to take pole position for Race One. 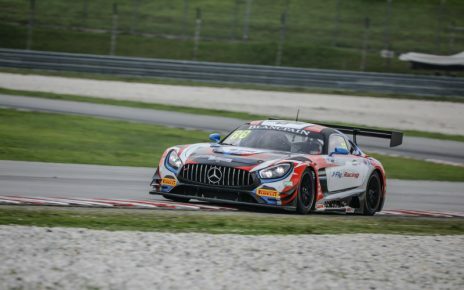 Jukuchou was 2.401 seconds quicker than Frank Yu in the #77 Craft Bamboo Racing Mercedes-AMG GT4. Completing the top three on the GT4 grid for Race One was the #11 GTO Racing with TTR Mercedes-AMG GT4, driven by Brian Lee. In a largely incident-free session, Naomi Zhang spun the #199 Team iRace.Win Mercedes and finished fifth quickest. Takayuki Kinoshita put in a 2:17.811 to put the #81 BMW Team Studie BMW at the top of the time-sheets in Q2, 1.650 seconds ahead of the #111 Team iRace.Win Mercedes with Ringo Chong. Jean-Marc Merlin completed the top three in Q2, setting a 2:20.126 in the #81 BMW Team Studie entry. The lights go out for race One at 16:15 local time (09:15 UK time).